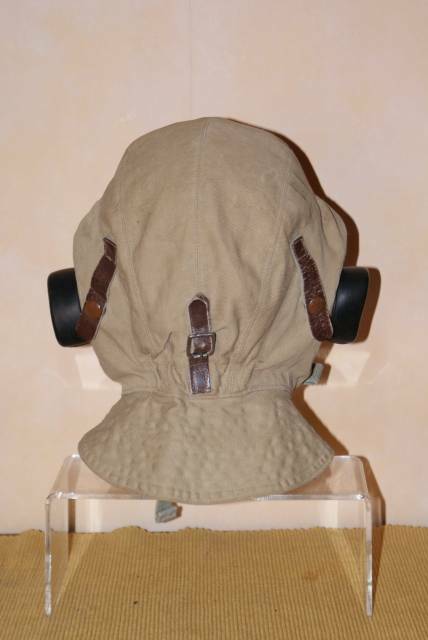 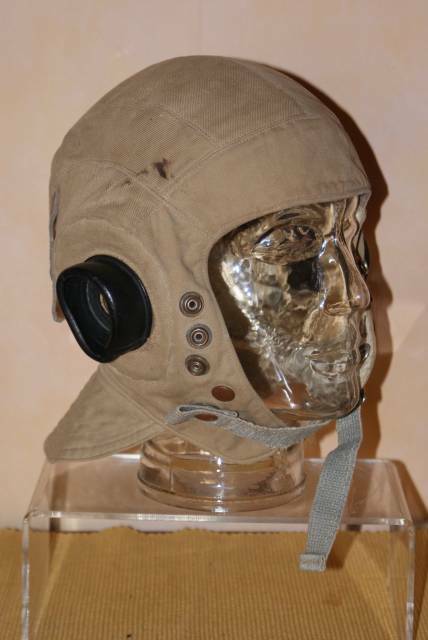 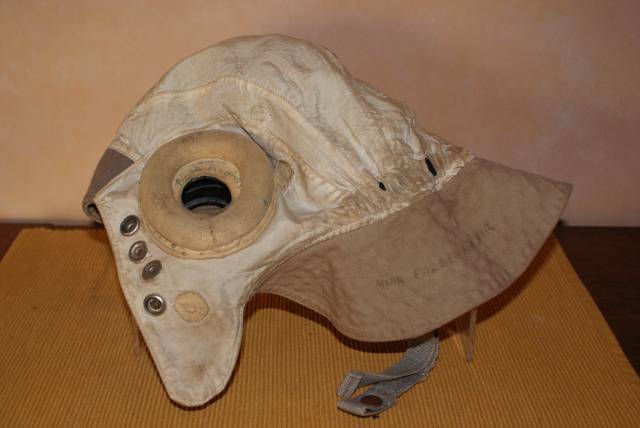 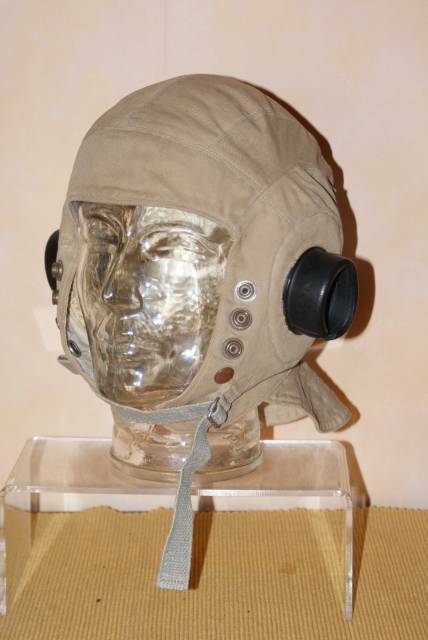 Original D Type flying helmet with owner's named written on the neck flap. 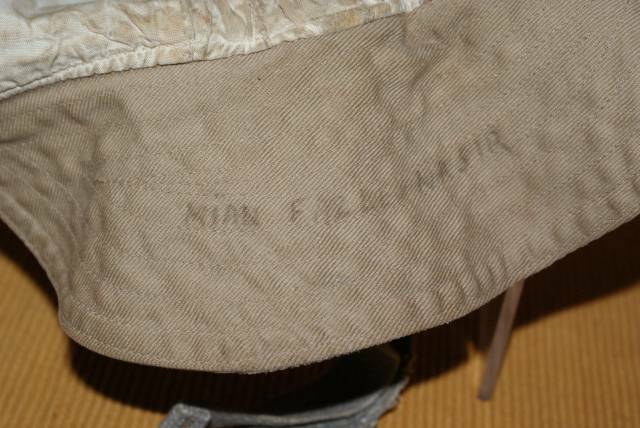 All snaps present, one dirty spot on the right upper side and inside lining shows only minor wear. 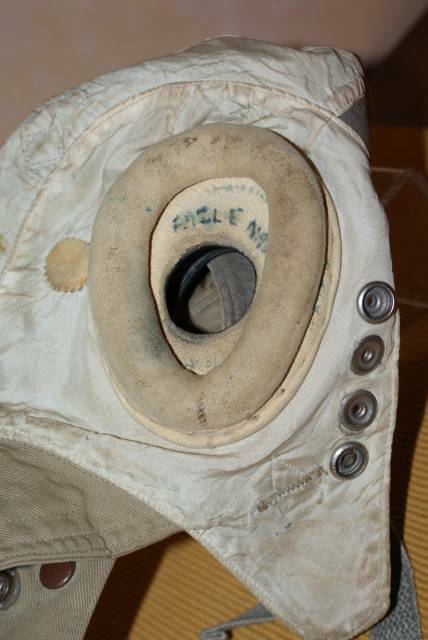 The ear cups are still pliable.